On the road, painting in the countryside or going to class, keep your brushes in order with this durable canvas brush holder. It is constructed of heavy canvas with sewn compartments on one side. 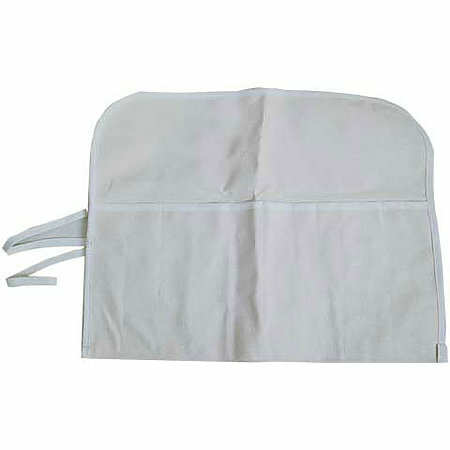 An extended flap folds over brushes to secure and protect them. It measures 16-1/2" x 21-1/2", can hold up to 12 brushes and includes a FREE good quality synthetic brush.